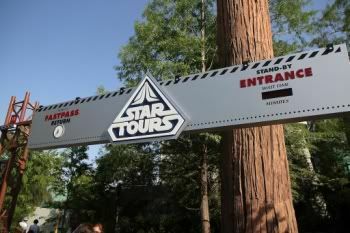 Kijk, dit is iets dat ik hier in Parijs mis bij de ToT.. de Fifth dimension..
Opnames voor Star Tours 2.0! 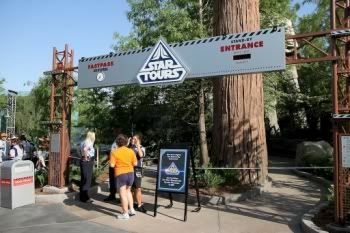 Disney has revealed for the first time that the iconic droid character C-3PO will act as pilot in Star Tours: The Adventures Continue, the updated ride that is due to open in 2011. 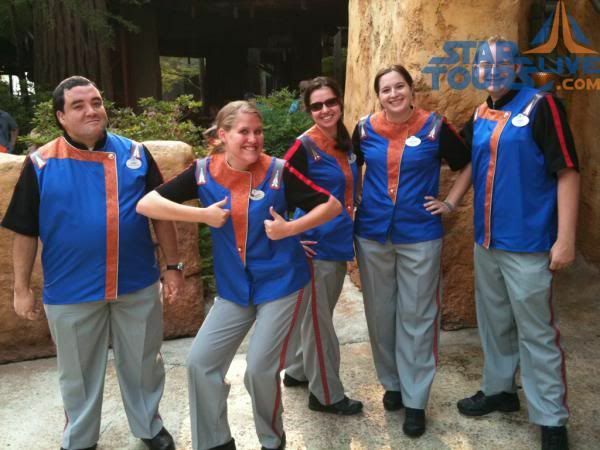 The company had previously introduced Ace, a "Tour Droid" who will lead guests on their simulated journey through the Star Wars universe. 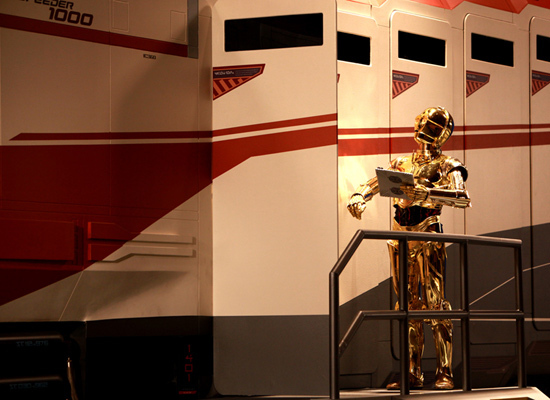 However, a post on the Disney Parks Blog has now confirmed that C-3PO will take the helm of the Star Tours Starspeeder 1000 by the time guests "take off". 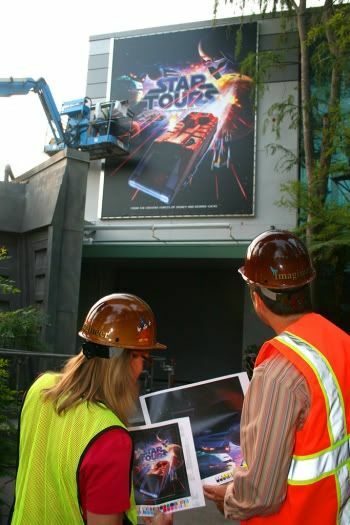 Rex, the pilot from the original Star Tours attraction, will also make a cameo appearance. 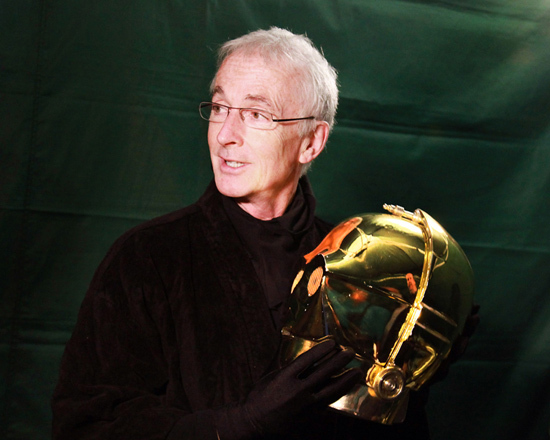 C-3PO is one of only four characters to feature in all six Star Wars movies to date, playing a major role in all of them. Voiced by Anthony Daniels, he is designed as "protocol" droid and frequently boasts that he is fluent in "over six million forms of communication". His sidekick, the quirky R2-D2, is also likely to feature in the attraction although Disney has not confirmed this. 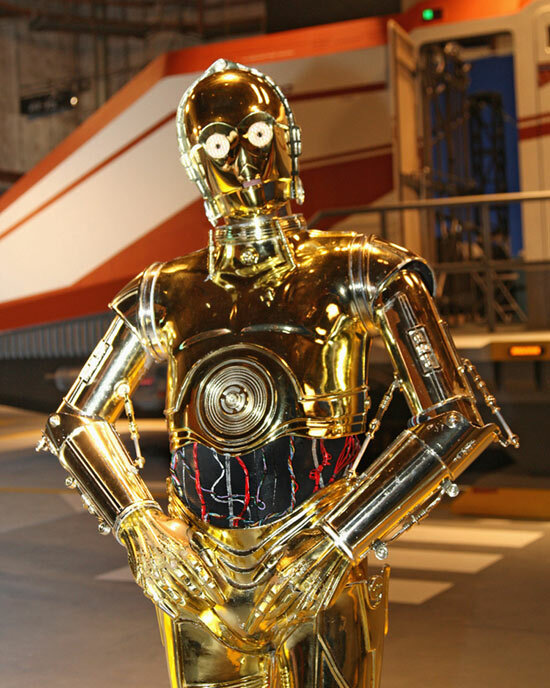 Disney claims that the decision to involve C-3PO as the pilot was made midway through production following discussions with Star Wars creator George Lucas. 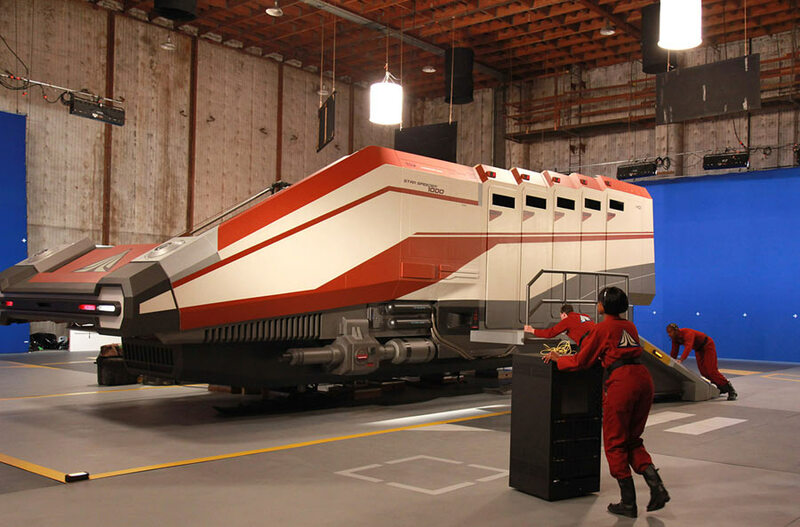 Ace (otherwise known as AC-38) will still feature in the attraction, along with Aly San San, a "Waitress Droid" who will act as a "spokesbot" for Star Tours. 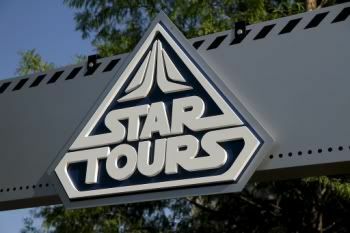 Star Tours closed at Disneyland on July 27, with Disney's Hollywood Studios' version closing on September 8. 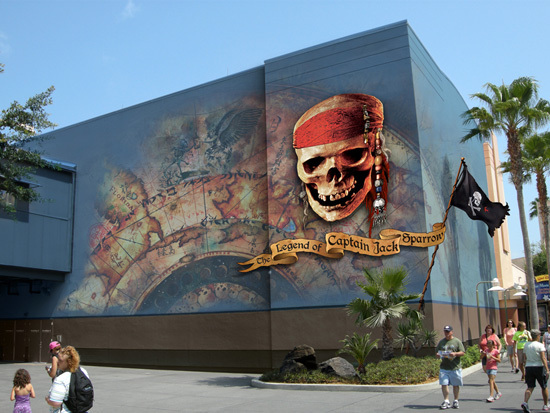 The updated version is expected to open in May 2011 at both parks, although Disney is yet to officially confirm this. 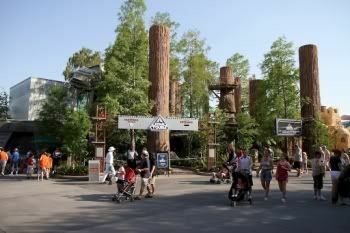 Disney says that its Imagineers are currently installing new audio-animatronic figures into the existing Starspeeder cabins at Disneyland, and will do the same at Disney's Hollywood Studios next month. 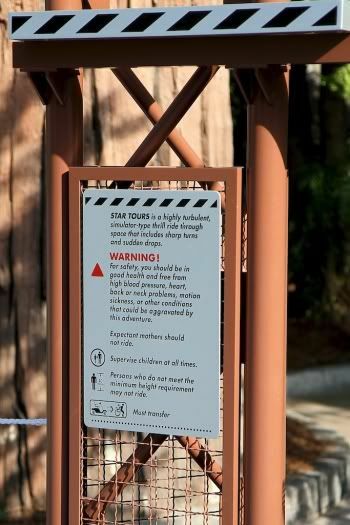 The updated version of the simulator attraction will feature no fewer than 54 different possible experiences, meaning that guests will take a different "journey" almost every time they ride it. As well as a fast-paced pod-racing sequence, the ride will also see guests transported to Coruscant. The planet plays a key role in "Star Wars" galaxy, forming its physical center as well as acting as the capital of the evil Galactic Empire and the New Republic at different periods in the movies' timeline. 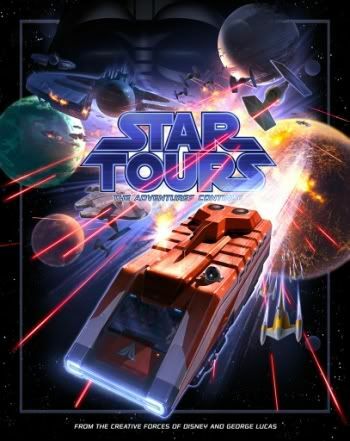 Disney geeft de attractieposter van de geheel nieuwe "Star Tours - The Adventures Continous" vrij. Ontworpen door Imagineer Scot Drake, de poster toont de Starspeeder 1000 omgeven door veel van de elementen van de nieuwe show. De nieuwe poster vormt trekt de aandacht aan de buitenzijde van de show building. De bouw muren die de ingang blokkeerden naar Star Tours zijn eindelijk weg. Het team Cast Members die de opening moeten doen zijn al bezig aan de opleiding voor de attractie begonnen en zijn klaar voor de officiële opening op 20 mei 2011. Er is nog niks bekend over de soft openings, maar er wordt verwacht dat er een aantal willekeurige testen met de gasten kunnen optreden op elk moment. Het was al sinds begin deze week een gerucht en is nu ook bevestigd!! 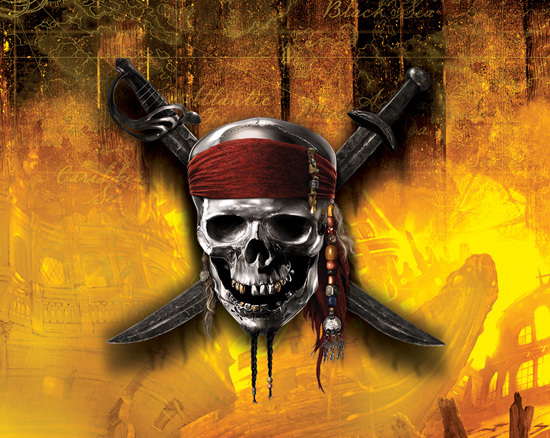 Er komt een echte "first-person" ervaring die je laat meewandelen in de voeten van Captain Jack Sparrow. Deze gaat de huidige "Journey into Narnia" vervangen. 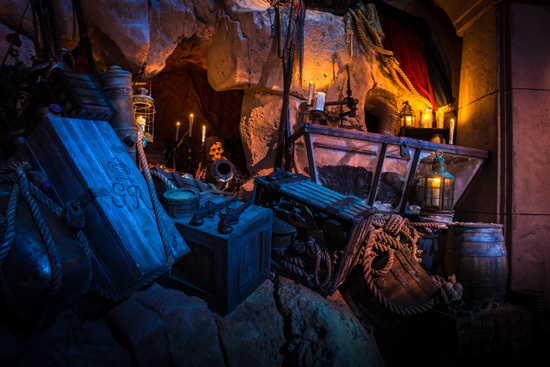 Details are still emerging, but the attraction will give guests a chance to become immersed in the world of the four “Pirates of the Caribbean” films, and an opening date will be announced later this year. De nieuwe walk-through attractie wordt officieel geopend op 6 december!! Er komen eind november al previews! De eerste video van de attractie is opgedoken!! !